Purity, Potency and Bioavailability Guaranteed. Newton-Everett® is driven to deliver highly potent, ultra-pure nutritional products with uncompromised quality. Our new premium-grade liquid extracts and liquid softgels are designed to provide an ideal delivery vehicle for maximum absorption and enhanced bioavailability. All Newton-Everett® capsules are independently tested using the most advanced equipment and test methods, including HPLC and GC-MS for purity and potency by third party laboratories. This guarantees purity from mercury, lead, PCB’s and other contaminants. Independent microbiological testing is also performed to ensure supplement purity and safety. The bioavailability of nutritional supplements is an often-overlooked factor. Bioavailability basically means “the proportion of a nutrient or bioactive ingredient that was absorbed from the gastrointestinal tract” for use or storage in the body. After passing through the intestinal wall lining, the ingredients enter your bloodstream and find their way to their target organ or body system where they go to work performing their specific duties to support your health and make you feel great. Folic acid is a member of the water-soluble B vitamin family, it is also known as folacin or folate. It was first discovered in the 1940’s when it was extracted from spinach. Folate gets its name from the Latin word folium ("leaf"). It should be replenished daily due to the fact that the body cannot store it for long periods of time. Folic acid deficiency is the most common vitamin deficiency in the world. Half of the folic acid in foods is depleted through cooking, processing and long-term storage, thus supplementation of this vital nutrient is highly recommended. Leafy vegetables such as spinach, turnip greens, lettuces, dried beans and peas, fortified cereal products, sunflower seeds and certain other fruits and vegetables are rich sources of folic acid. During pregnancy, a woman’s daily intake requirements for certain nutrients such as folic acid (folate) will increase. This vitamin makes up for any folate deficiencies in the diet during pregnancy. 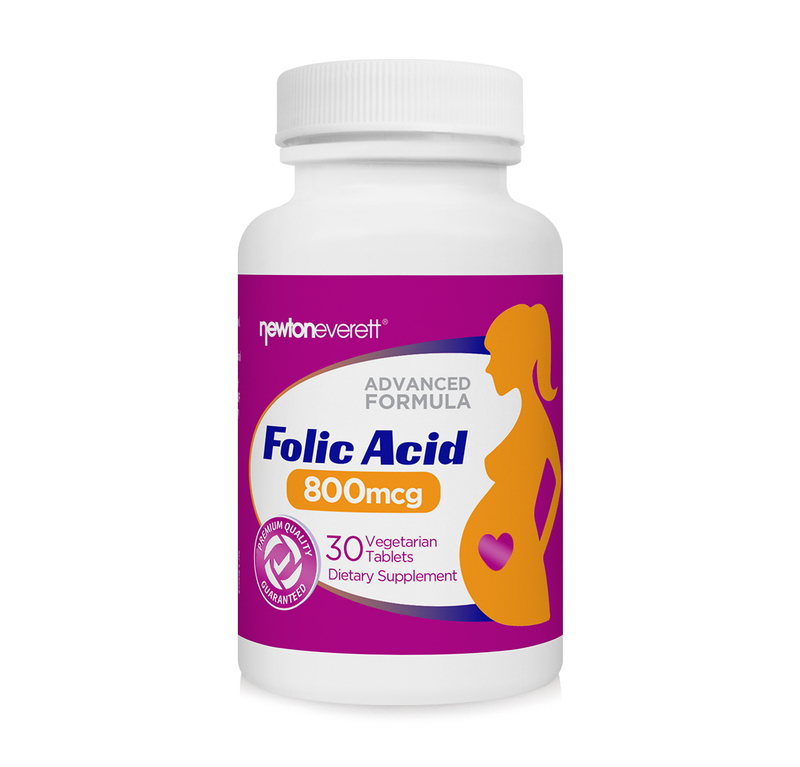 Folic acid is important for maintaining overall health of the nervous system at all ages. Folic acid can support cardiovascular health and wellness. Receiving an adequate amount of folic acid in your diet can also provide natural mood support. Other Ingredients: Dicalcium phosphate, microcrystalline cellulose, vegetable magnesium stearate, silica. Suggested Daily Intake: Take 1 tablet daily with a meal. Warning: If you are pregnant or lactating, consult a health care professional before using this product. KEEP OUT OF REACH OF CHILDREN. Store in cool, dry place. Do not use this product if the safety seal on the bottle is broken.